Do you have any Roman ruins lying around the house? Perhaps you should look again because apparently there are few bits on the ancient temple of Mithras missing and they could be around Worcester Park. 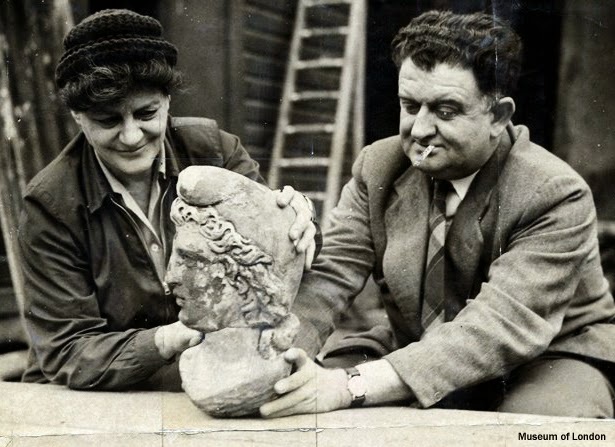 The ruins were discovered in the City of London in Walbrook Square (between Bank and Mansion House tube stations) in 1954 when a carved head was dug up and recognised as the Roman God Mithras. Building work was stopped and people were able to see it for two weeks before the remains were packed up and moved. A few hundred visitors were expected to turn up on the first day but around 35,000 showed up and the queue went around the block. It was described as the Roman discovery of the century. 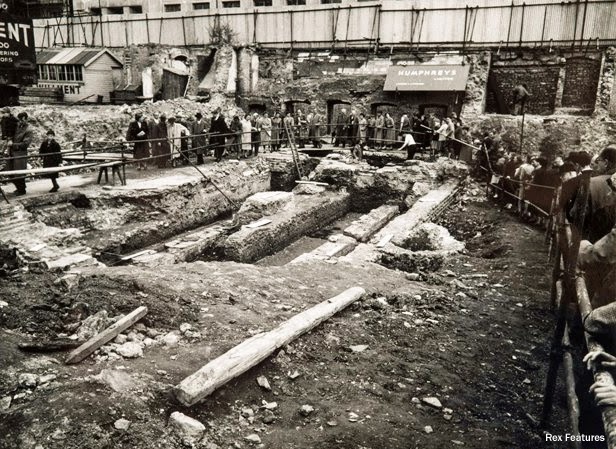 This month marks 60 years since the original discovery and a project is under way calling for people who witnessed the excavation in 1954 to come forward to tell their stories and share their pictures of the event. At one stage the ruins were stored at a builders yard in New Malden and it is known that a lot of items were pinched during this time. There could be bits of ancient temple all over the area, especially in things built about this time. You may have had a piece of Roman god at home all this time and not even known it! Eventually the remaining pieces were exhibited back in the City close to where they were found. "If there's a bit of Roman stone - better still mortar - in Gran's rockery, the Temple of Mithras would like it back." If you might have a bit lying round the house or garden, please contact the Museum of London Archaeology on 020 7410 2266, email oralhistory@mola.org.uk or visit www.mola.org.uk.